Brief Overview: Paint for fun and stress relief. All the materials are provided, come in, sit down and immediately learn to express yourself easily through paint. The use of our graduated stencil system guarantees beautiful composition while still maintaining flexibility to create designs unique to you. Every participant leaves with a work of art they are proud of and ready to display. Painting made easy: Paint Party! The practice of painting is an art form that has been growing with humanity. Techniques, tools and mediums for expressing ideas have also grown, and are more plentiful and affordable than ever before. Tribal Thunder makes it easy and exciting to produce your own work of art and to continue creating your own unique pieces at home; sharing with friends and family. The objective of the paint party is to introduce you to basic acrylic painting, including elements of design, paint selection, application and simple brush techniques. 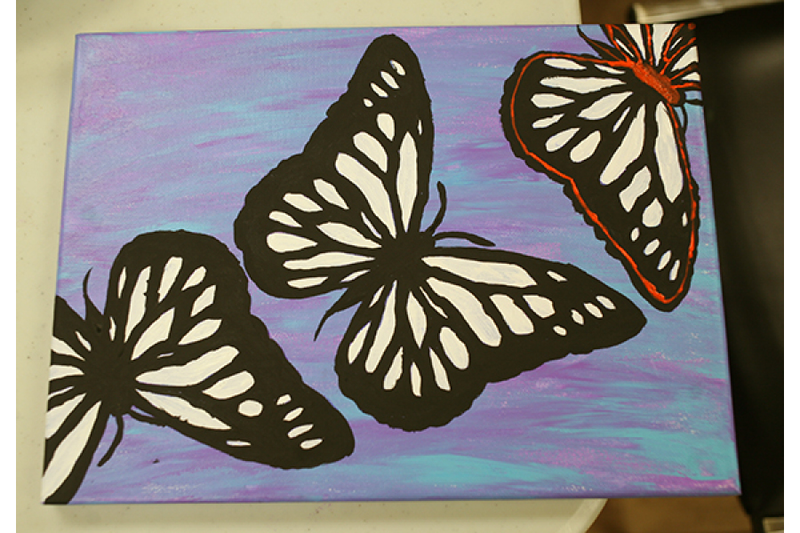 With no previous experience in art, get right into painting and create something beautiful. Paint for fun and stress relief. All the materials are provided, come in, sit down and immediately learn to express yourself easily through paint. The use of our graduated stencil system guarantees beautiful composition while still maintaining flexibility to create designs unique to you. Every participant leaves with a work of art they are proud of and ready to display.